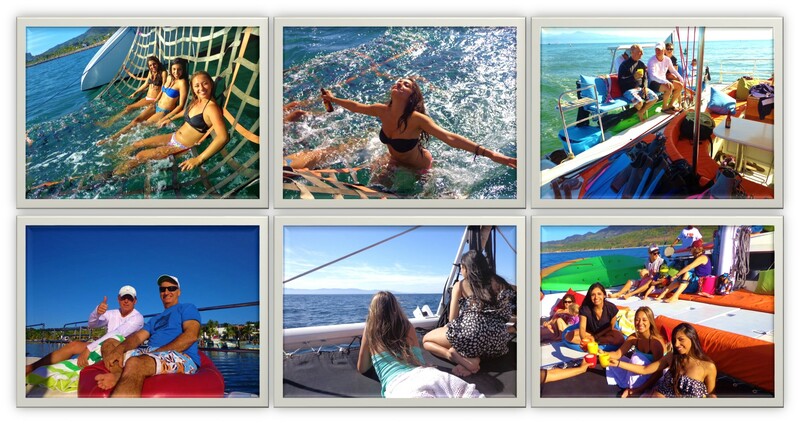 With over 500 miles of surface area, beautiful and serene Banderas Bay is a sailing dream come true. Looking across this expansive bay, sailboat passengers are treated to exquisite panoramic views of gorgeous beaches and jutting volcanic rocks along portions of the shoreline, as the lush jungle-laden hills of the Sierra Madre mountain range provide a breathtaking backdrop. Lucky spectators will view dolphin pods, sea turtles, or during the wintertime, humpback whales. Departs Sayulita at 9:30 a.m.
Departs La Cruz Marina at 10 a.m. This wonderful family-operated business with a friendly, bilingual staff offers day-time sailing, private party cruises and sunset cruises aboard their spacious catamaran. Their first- class service includes fabulous food, drinks, activities, state-of-the-art surround sound system, and plenty fun for all ages. Ocean toys include: 4 kayaks, 2 paddle boards, boom-netting, snorkel gear, fishing gear, and reef rider. Their main office is in Sayulita, but conveniently their catamaran is docked at the La Cruz Marina which is a 15-18 minute drive north of Nuevo Vallarta. Their rates are also slightly cheaper for those picked up from the La Cruz Marina. 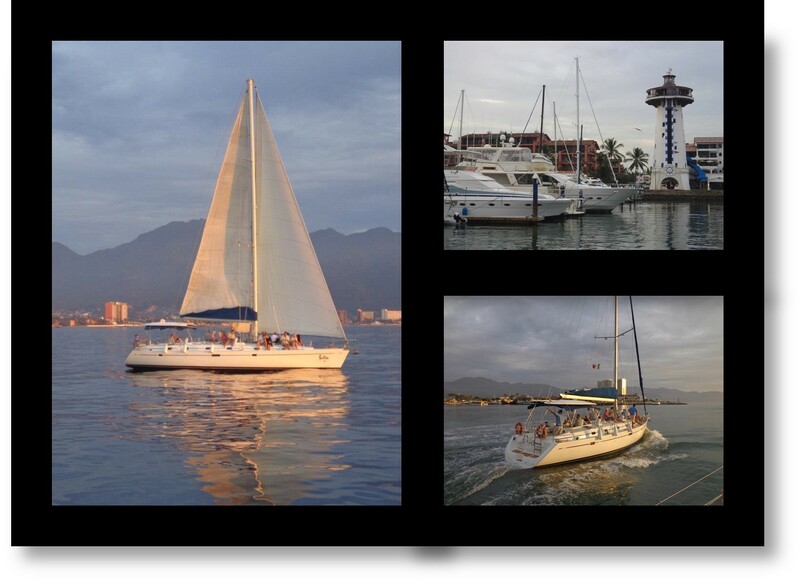 Luxury Sailing Tour by Vallarta Adventures. Tour departs from a dock in Marina Vallarta. Offers premier sailing adventures, to include sunset voyages aboard their luxury sailing yachts. Day-time tours enjoy a lovely catered lunch and drinks. Sunset tours include delicious snacks and beverages. Let tropical winds carry you over the emerald waters of Banderas Bay and beyond. Snorkel in protected coves. This tour operator offers two daytime sailing excursions a 4-hour sail (10 a.m. – 2 p.m.) and a 6-hour sail (10 a.m. – 4 p.m.), as well as sunset sailing cruises. They offer fully customized sailing adventures as well as 5-star service. Daytime sailing adventures include breakfast, lunch and alcoholic beverages. Cocktails are available for $5 USD. 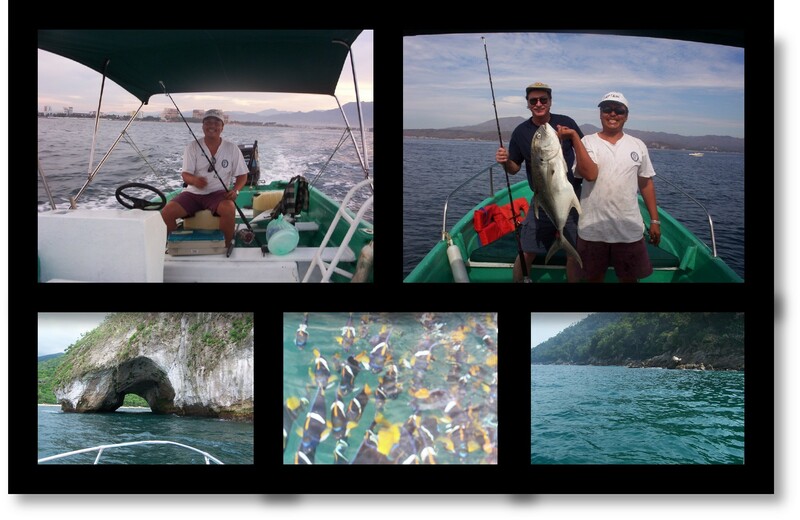 Pick-up service is available from La Cruz and Marina Los Peines near the Naval Hospital in Puerto Vallarta.